We went on an Autumn walk, over to the forest. We spoke about all the things we could see, and discussed how the season was changing. We looked at the leaves, and spoke about how they looked/felt. 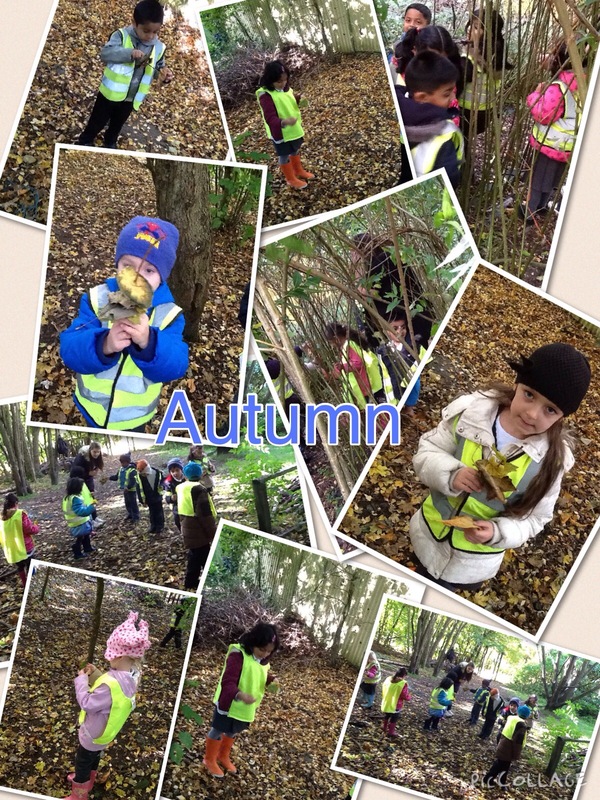 We then created a piece of natural art work-using the leaves. Next week we shall be learning all about Autumn. We shall be going on an Autumn walk, looking for signs of the season. 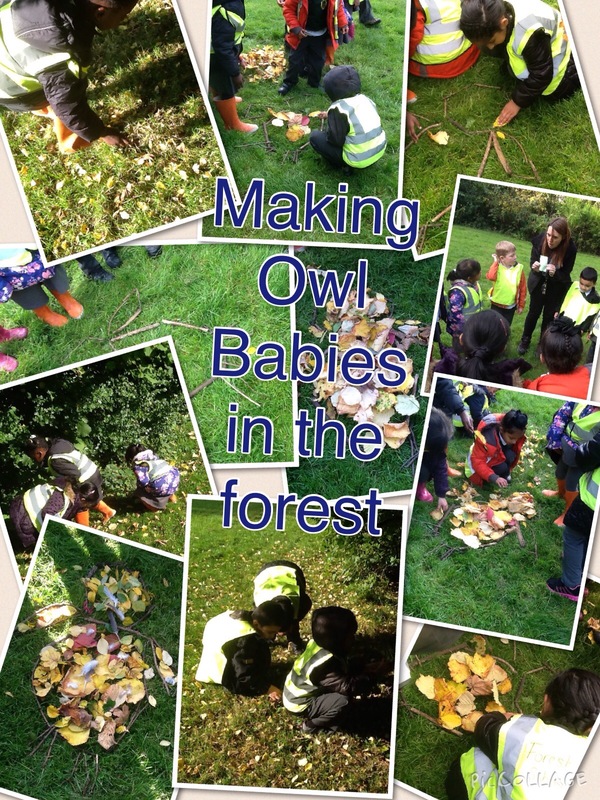 We shall also be investigating leaves, conkers and twigs. 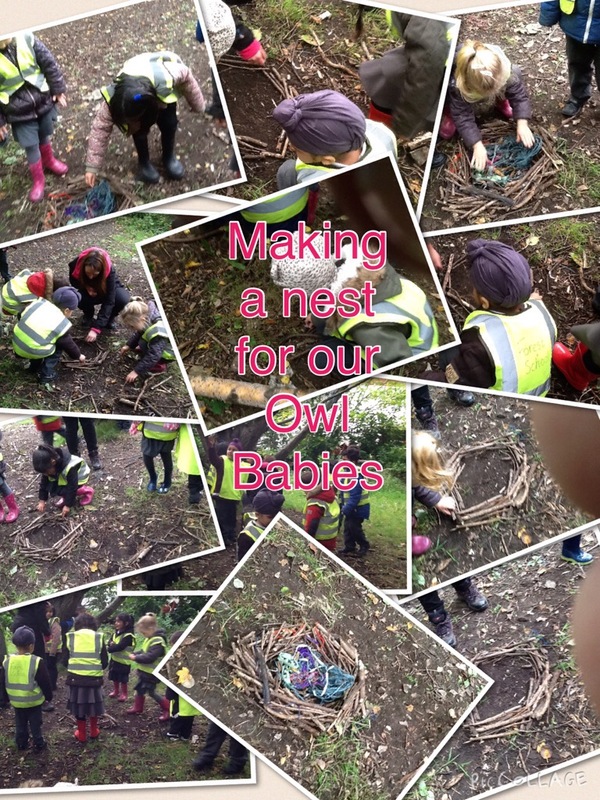 Working in our family groups, we created nests for the owls. We spoke about where birds live, and what natural objects they were made of. We love learning outdoors! This week our text is “Owl Babies.” Watch the story with your child. Talk to your child about what happens. How do the owls feel at the start of the story? How do they feel at the end? Why? 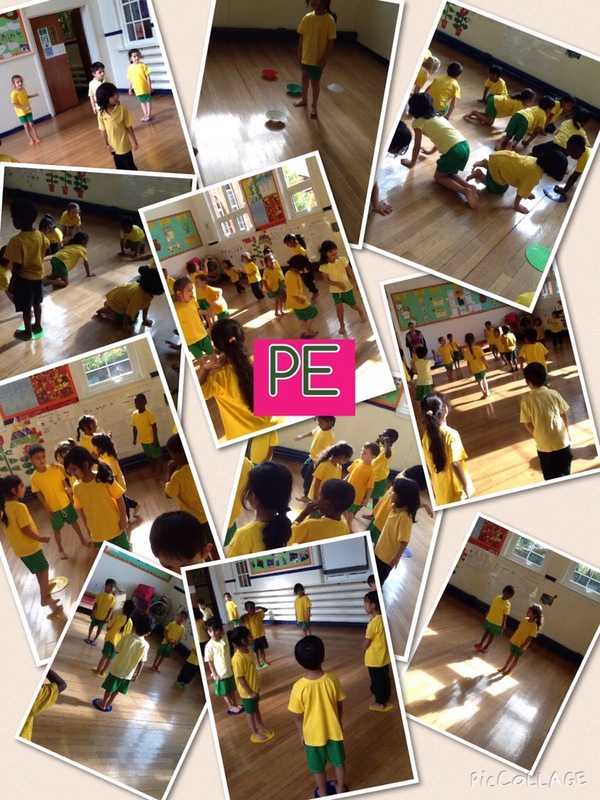 Children are really enjoying their PE lessons. Please ensure that your child can dress/undress independently. During our lessons the children are moving around in a range of ways, negotiating space so they do not bump in to other children. 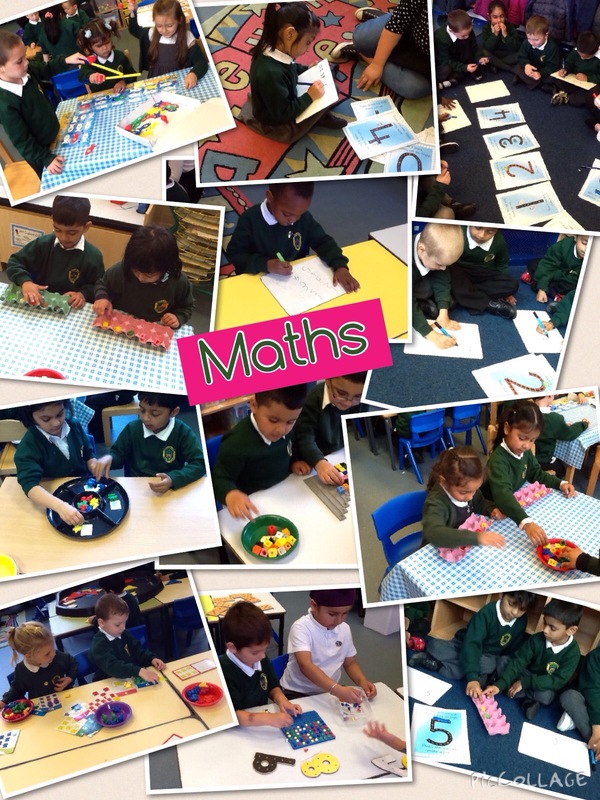 This week we have been counting objects (up to 5) and practised writing the numbers to 5, using our number rhymes. Support your child at home with counting objects, writing numbers to 10 and ordering numbers independently.